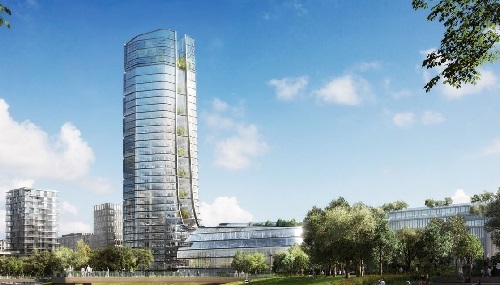 Foster + Partners has unveiled plans to create a sustainable office campus for a Hungarian company, centred around a 28-storey skyscraper. Intended to set a new benchmark both for Budapest and Hungary, the new headquarters for the MOL Group will give the Hungarian capital its tallest building. The architecture firm has not revealed how high the tower will be, but it is expected to exceed 96 metres – the height of the Hungarian Parliament Building and Saint Stephen’s Basilica.